The Square Hotel offers homely AC rooms, flat TV, minibar, a tea/coffee maker and free Wi-Fi access. 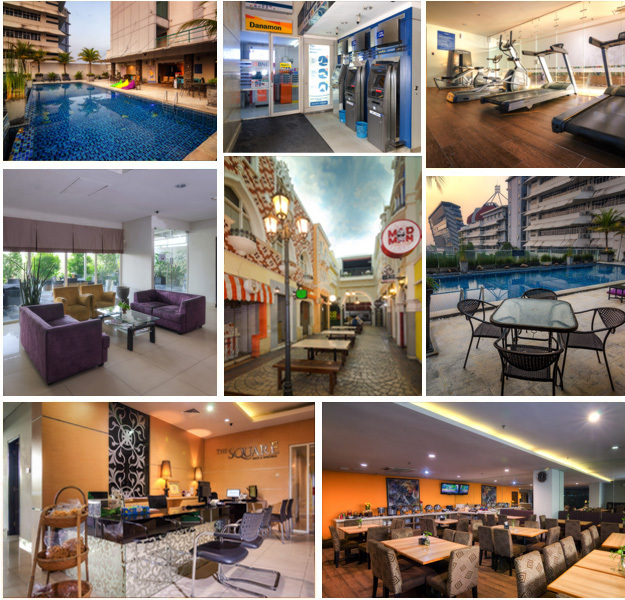 An outdoor pool, fitness centre, conveniente store, ATM, billiard, karaoke and Poolside Café available for your convenient stay. Guests will also find local specialities and snacks at arcade area.